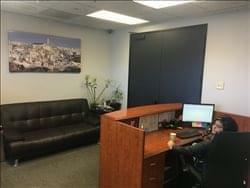 Find My Workspace lists over 95% of the executive office suites market in Beverly Hills (California). Simply click Request Quote to check pricing for one office, or Add to Basket for multiple offices. 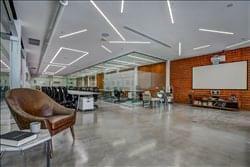 These coworking offices are a mix of executive offices and community spaces located in Beverly Hills. The center provides a full service environment for innovative, technical, and creative businesses, so that like-minded entrepreneurs can succeed through their space. The motto is to provide a learning environment for technical skills, meet other like-minded entrepreneurs, work long hours, and grow your company with funding opportunities from the partnering venture capitalists eager to fund startups. The features include high speed internet, an interactive 15 ft projector, and kitchen facilities. The center offer flexible lease terms to fit your needs with no contracts necessary. All of the service packages available at this space, from the simple $85 Mail Package that lets you use this Beverly Hills address as if it were your own, to the $175 Transfer Package that also lets incoming telephone calls be forwarded to a telephone number you provide after being personally answered by a receptionist, let you grow your business from anywhere while having a business presence in desirable Beverly Hills. You can live the lifestyle you want, anywhere you choose, while clients and customers will contact you transparently through a Beverly Hills or Los Angeles address. The center also provides virtual assistants at very reasonable prices.